Music Generation empowers young people to create and make music together. Its approach is to work towards informal performances, keeping the ‘safe space’ feel that makes the sessions so productive. These performances are fast moving, inclusive and non-competitive. 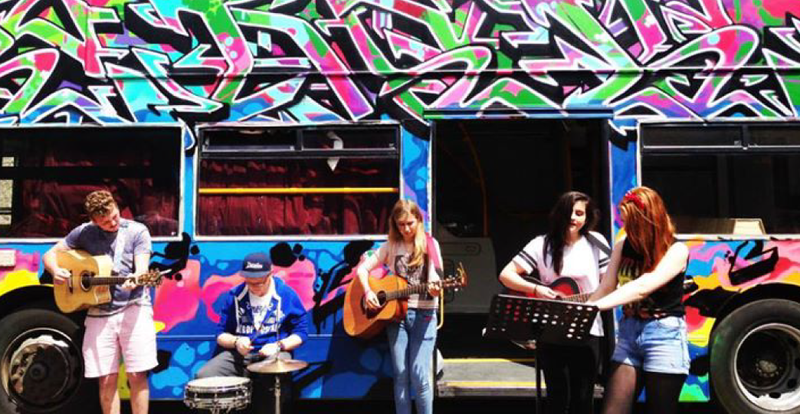 Limerick Voices, supported through Music Generation, is a song writing and mentorship programme that sees musicians working with young people across the city. The focus is on self-expression – helping young people to find their voice, providing the tools to develop it and a platform to share it. Another important focus of the programme is on ‘inclusion’ – across musical, social and cultural dimensions through which people from all backgrounds and parts of the city come together to create and make music. An important element of the Limerick Voices programme is that it has no specific methodology to the sessions beyond creating a safe and supportive environment in which the young people can create and flourish. The resulting success can be seen not only by the quality of music being showcased at regular gigs, but more significantly by the near 100% retention rate of students and the atmosphere at sessions in which young musicians of all styles (rap, rock, country, folk) support and inspire each-other.